West Firle Poor Law Union formed in 1835 providing a workhouse for the people of West Firle and nearby parishes. The workhouse could house 180 inmates but it was closed after 1898 when the union merged with Chailey and Lewes unions. 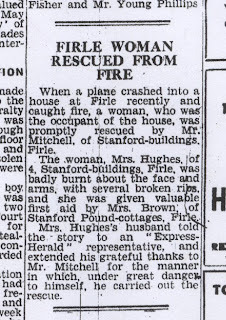 The building was converted into a row of private houses known as Stanford Buildings but they were badly damaged on the afternoon of the 22nd May 1942. Two Spitfire pilots left the airfield at Redhill in Surrey for a practise flight when they came across low cloud over Firle. Flt Lt Barrett climbed above the cloud and returned to Redhill but Sgt Harold Ernest Barton went below the cloud which was lower than expected. He hit the end of the row of houses destroying part of it and injuring one of the residents. Barton was killed; the end of Stanford buildings was badly damaged both by the impact and the resulting fire. The fire was reported in the local papers but not the cause so as not to affect morale. 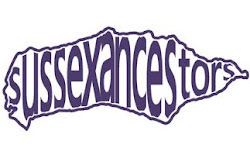 The Sussex Daily News emphasised the work done by the National Fire Service from Lewes "effective work by NFS personnel from Lewes greatly minimised damage to property when they attended a fire at Stanford-buildings Firle". 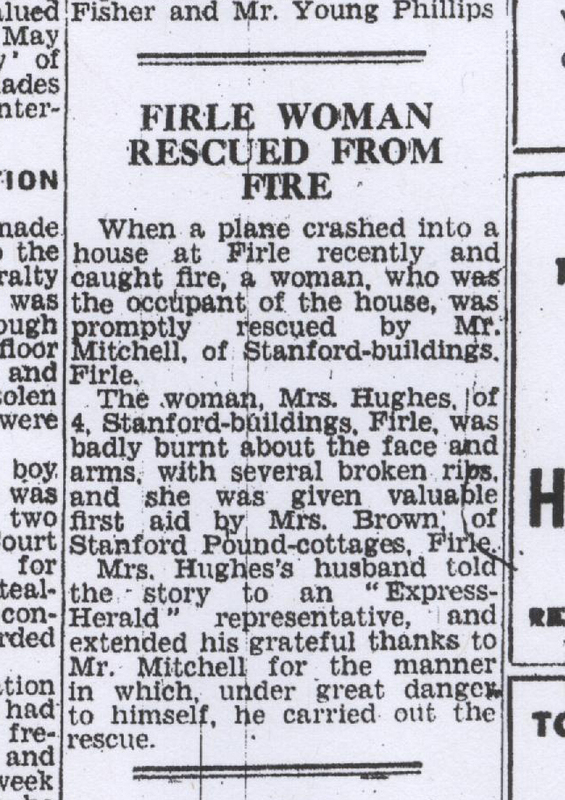 The Sussex Express mentioned that it was caused by a plane crash but gave no details concentrating on the rescue of Mrs Hughes from the house by another resident of Stanford Buildings "Mrs Hughes's husband told the story to an 'Express Herald' representative and extended his grateful thanks to Mr Mitchell for the manner in which, under great danger to himself, he carried out the rescue". The official report on the crash was short and too the point "Cause of crash not known. Hit buildings and burnt out. Sgt H E Barton of 602 Squadron Redhill. One civilian injured. 25 people evacuated from buildings" Any further official documents are closed subject to the 100 year rule.